Robot vacuum sale at Newegg! 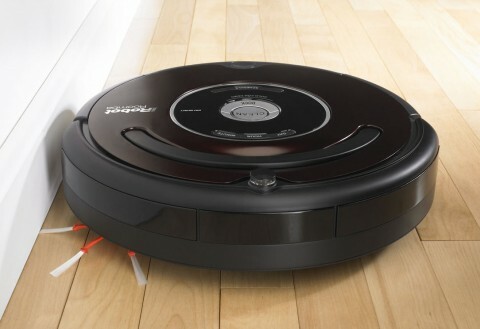 Newegg is having a sale on refurbished iRobot 560 Roomba Auto Vacuums. After savings and rebates, the robots end up being $200 Shipped. This includes a $50 instant saving, and a $30 coupon. The iRobot 560 Roomba is a robot vacuum cleaner. It features two virtual wall boundary markers, counter-rotating brushes, a better side brush for cornering, and is able to sense stairs and obstacles. Like all the Roombas, the vacuum can sense especially dirty areas and concentrate on cleaning them more. 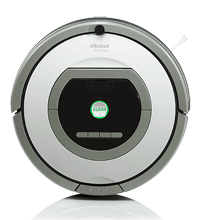 The robot vacuum comes with a rechargeable battery, two “Lighthouses”, a charging base, power supply, a tool for cleaning the brushes, and an extra filter. Free shipping! Buyers need to use the coupon code EMCLVPL23 during checkout. Act fast. This sale ends Wednesday August 5 or when they run out of Roombas to sell.